Currently celebrating eighteen years together, "The 2010 first round GRAMMY ballot entry Michael Thomas Quintet is a powerful and energetic group that is deeply rooted in the rich tradition of jazz. The quintet ( Michael Thomas - trumpet, Zach Graddy - tenor, Darius Scott - piano, Kent Miller - contra bass, & Frank T. Williams IV - drums) has the unique capability to capture an audience and take them on an excursion to where "Hard-bop and Blues" swing joyfully, prayerfully, and soulfully. The group consists of members that know jazz, respect jazz, and love jazz. There is nothing "laid back" about this group." (Las Vegas, NV) a multi-faceted performer, attended Grambling State University where he majored in music performance. At Grambling, he studied French Horn under Conrad Hutchinson and trumpet under Dr. Joseph Miller. He also performed with Frank Foster, who was then directing the Count Basie Orchestra. Michaelâ€˜s interest in Jazz developed in the latter years at Grambling and really came into fruition when he moved to New York State. While in New York, he worked diligently on learning and improving himself to move toward becoming the type player he wanted be. There he organized his first quintet, the Michael Thomas Quintet, and became well recognized in the local areasâ€™ jam sessions and clubs. While in New York, he met Bill Saxton and Hugh Brodie, who were both instrumental in his development process in terms of encouragement and advice. Michael relocated to the DC area, where he has become an ardent participant on the DCâ€™s jazz scene. In 1996, Michael was a scholarship recipient in the Fish Middleton Jazz Scholarship Contest at the East Coast Jazz Festival. To date, he has played with a number of notable musicians such as Andrew White, Betty Carter, Jimmy Heath, Larry Willis, Shirley Scott, Slide Hampton, Buck Hill, Webster Young, Gary Bartz, Joe Williams, and others. 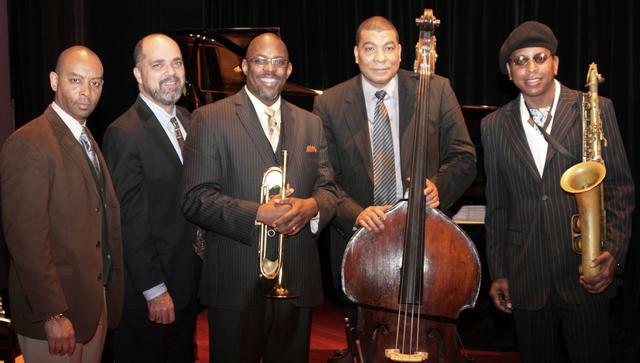 Currently, The Michael Thomas Quintet performs regularly both in and out of the DC area. Michael also hosted jam sessions at HR-57 (Center for the Preservation of Jazz and Blues) and is an alumni of The World Famous Count Basie Orchestra. Michael currently records for JazHead Entertainment LLC with his Quintet. JazHead Entertainment is Michaelâ€™s self-produced record label. Five CDs have been produced for the Quintet. The latest CDs ("Live At TWINS JAZZ â€“ vol. I & II") feature the incredible saxophonist Mr. Andrew White. â€œVol. IIâ€ had the honor of being a first round 2010 GRAMMY ballot entry Michael Thomas Quintet. Most recently, Michael has toured Russia performing four well received concerts. He also displays a high interest in strengthening the jazz community in areas such as respect, community awareness, resources, and publication.